We focus on what really counts: successful long term relationships based on mutual trust, integrity and a commitment to creating value. Jim Healy, a veteran of more than 25 years in the direct marketing industry, founded Healy List Marketing with a mission of providing consumer mailers the most accurate response based, dollar driven, direct mail marketing data available anywhere. Successful direct marketers know that direct mail is still a long standing and viable major channel. They know that with the properly targeted mailing list not only does the recipient physically need to handle the mail piece at least once but the resulting customer engagement grows response and increases order value. Healy List Marketing is THE place to go when you plan to go Postal! We know direct mail’s rules and standards and we follow them. We know to do whatever is reasonably necessary to get the job done. We know how to have open, honest and direct communication with all parties. We always blend the values of responsiveness, integrity, friendship and a strong sense of fair play. We are always learning & evolving as a company and as individuals. We are always committed to creating targeted postal data for our clients. The promise of our brands is they contain records of individuals with incomes averaging $75,000+ and are always product buyers or paid subscribers or both. The promise of our service is to always hold ourselves accountable to maintaining a zero defects customer relations policy. The promise of our postal data is to produce the very best possible targeted postal list data that is consistently rich and consistently accurate. After many years working in the direct marketing industry with catalogers and publishers of all kinds, colleagues have asked me what it is that makes me love the industry so much. The answer is easy – I love the people we work with! They are friendly, smart, rigorous and creative with tons of positive energy. I also love working with the HLM internal data codes; this is where I can and do create great postal data with and for our clients. I’ve always said that a great postal mailing list is the result of selecting the proper data from the proper sources. 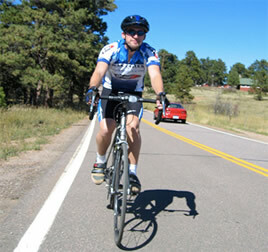 I also have a love for and am active in outdoor activities including cycling, skiing and golf.